Pogoplug Multimedia Sharing Device Sale $14.99 Adorama via eBay offers the Pogoplug Multimedia Sharing Device in Black, model no. eBay with Adorama has the Pogoplug Multimedia Sharing Device Sale Priced for $14.99 with Free Shipping. That's the lowest price we've seen on the black model; sells for at least $10 more at many sites. Pogoplug lets you share any USB device (hard drive, thumb drive, etc.) 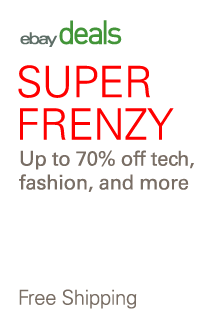 from your PC or Mac with anyone over the internet. Just plug it into your router, setup an account and begin sharing your stuff with others...or accessing it yourself when you're away. Includes 4 USB 2.0 ports and a Gigabit Ethernet (RJ-45) connector. 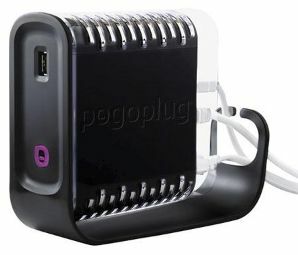 Part number: Adorama via eBay offers the Pogoplug Multimedia Sharing Device in Black, model no.